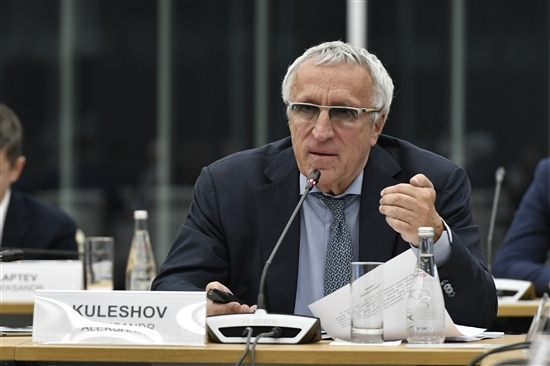 The Skolkovo Foundation council reviewed the results of its corporate acceleration programmes and Skoltech’s oil and gas lab at their quarterly meeting on Tuesday evening, and also discussed the foundation’s participation in the Greater Skolkovo project. 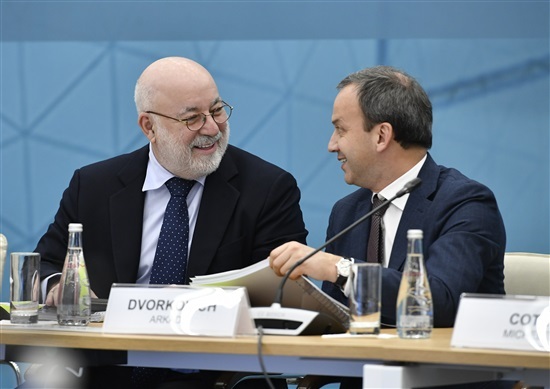 Skolkovo Foundation president Victor Vekselberg, left, and chairman Arkady Dvorkovich. Photo: Sk.ru. The facilities of the Center for Hydrocarbon Recovery’s state-of-the-art laboratory, which is devoted to research and development into technologies for producing oil and gas that cannot be extracted using traditional methods, are in constant demand and the lab is fully booked through the end of next year, despite working 24/7, said Skoltech president Alexander Kuleshov, who said it was in fact more akin to a factory than a laboratory. “We have managed to create a laboratory that has no equivalent – and will not have – either in Russia or anywhere else,” said Kuleshov. Canada’s University of Calgary, whose specialists helped Skoltech scientists create their lab, has something similar, but Skoltech’s is more advanced by dint of being newer, he said. The lab is used on a commercial basis by nearly all of Russia’s major oil companies, including Gazprom Neft, Lukoil and Rosneft, as well as foreign companies including France’s Total and the U.K.’s Iskandia Energy, Kuleshov told the council meeting, which was held in Skoltech's brand new campus building. Now Skoltech is seeking to raise investment to expand the lab’s capacity, given the constant demand from the oil and gas industry. The total volume of investment will be up to 500 million rubles ($7.5 million), with a payback period of one or two years, depending on the kind of equipment purchased, said Kuleshov, who emphasized that the lab is looking for investment, most likely from a major oil company, and not state funding. Alexander Kuleshov, president of the Skolkovo Institute of Science and Technology (Skoltech). Photo: Sk.ru. “We don’t want budget funds: we are telling you, it’s a brilliant investment,” he told the council members, who approved the resolution on allowing the lab to raise additional investment. The council also heard the results of the Skolkovo Foundation’s first corporate acceleration programmes and their plans for 2019-2021. Corporate acceleration programmes are a new service launched by the foundation this year, Skolkovo’s senior vice president for innovations Kirill Kaem told the council. More than 10 corporate acceleration programmes have been completed or are underway, with the foundation’s first clients including international pharma giants AstraZeneca, Johnson&Johnson and Bayer, as well as Unilever and Russian companies including the state atomic energy corporation Rosatom and S7 Airlines. Just last week, the participants of the joint Skolkovo-AstraZeneca acceleration programme held a Demo Day of their technology and solutions in Cambridge, Kaem told the council. Skolkovo's senior vice president for innovations, Kirill Kaem. Photo: Sk.ru. In addition to introducing the foundation’s startups to potential clients from industry, and cementing Skolkovo’s relationships with major industrial companies, such accelerators help Skolkovo to find promising new projects and receive honest feedback on projects from industry, said Kaem. 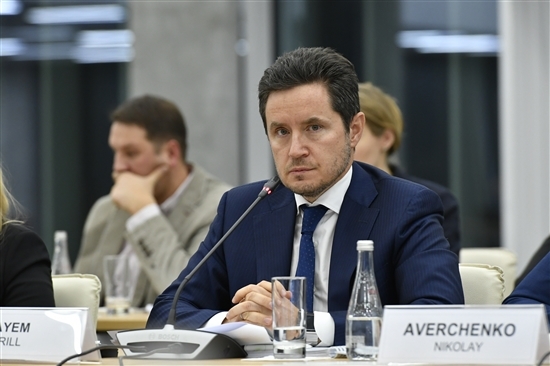 Eventually, up to 30 percent of all new Skolkovo resident startups could come to the foundation via acceleration programmes, he said, noting that the accelerator programmes offer successful participants a simpler route to obtaining Skolkovo residency status. The council also approved cooperation with the Skolkovo School of Management, located just down the road from the Skolkovo innovations city, and Millhouse, the asset management company of Russian businessman Roman Abramovich, under the Greater Skolkovo project, aimed at the socio-economic development of the territory surrounding the Skolkovo innovation city. “We are developing cooperation to promote a unique and large ecosystem with good standards of living and good jobs,” said Skolkovo Foundation chairman Arkady Dvorkovich. The foundation is already taking part in joint activities with the business school and Millhouse in areas including transport, logistics and event management, he said.